In today’s busy marketplace, efficiency within a business can make the difference between success and failure. Unnecessary obstacles such as human error, time-consuming stock take and overcomplicated data entry systems can affect the day to day running of a business. Barcodes are a simple and inexpensive means of encoding information in a pattern that can be read by a machine. This simple system offers a solution to many business problems, and could potentially revolutionise a data entry system. A barcode sticker is made up of a series of black and white lines, or ‘elements’, that are arranged to a set algorithm. When a barcode is passed over a barcode scanner, the scanner reads the arrangement of the lines and passes it through the algorithm to decipher the information encoded in the barcode. Barcodes themselves come in two forms; 1D and the less common but more versatile 2D. 1D barcodes arrange information horizontally from left to right and are usually limited to 20-25 characters. 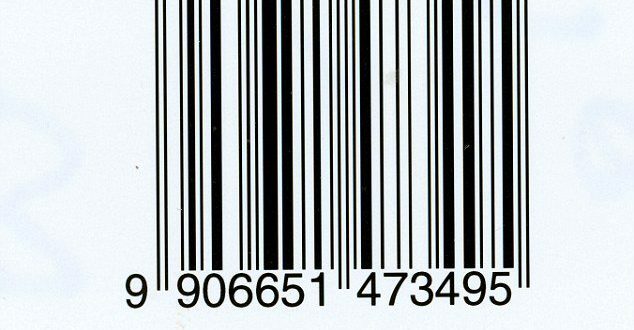 A common use for 1D barcodes is on supermarket products, which require minimal information to be encoded. 2D barcodes arrange information both horizontally and vertically, allowing more information to be encoded within a smaller space. These 2D barcodes can store up to 2000 characters of information, but require an image scanner to read them. The bigger the barcode, the more information can be encoded within it. The applications of barcodes are numerous as they can be affixed to pretty much any object desired, whether it be stock on the shop floor of a supermarket, a package being tracked across the globe to reassure the recipient of its whereabouts, or even on a person via a wristband or card key. Furthermore, the information stored within the barcode can be just as wide-ranging, from pricing information to security codes and credentials. Some hospitals have even started using barcodes to control access to certain restricted areas, track patients from their arrival to being discharged via internally-issued wristbands, and to identify and track blood samples. As the transfer of information is instantaneous, decision making timescales can be reduced significantly, which could save a business money or even save a life. Barcodes can be useful to a wide range of businesses. Retail businesses can use hand-held wireless scanners to track stock pricing, assess their inventory and analyse how well each product is selling quickly and effectively by their respective barcode. 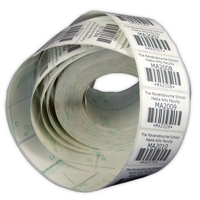 The same barcode can be attached to any number of a particular item to assess stock levels quickly and precisely. The extra leeway granted by such precise data could allow a business to lower overall stock levels, creating greater cash flow within the business. 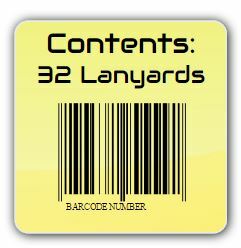 Barcodes can also be assigned individually for a more specific allocation. More specific barcodes are used commonly by logistics businesses to provide regular updates on the global position of a package. This information can subsequently be passed on to the client as it moves through scanners on its way through the postal system, ensuring the customer’s peace of mind. Importantly, barcode scanners do not require any additional software or a driver to function properly, so installation is as simple as plugging a keyboard into your computer. Any information scanned by the scanner will be entered wherever the cursor is on the screen at the time of entry. Consequently, training time is vastly reduced when using barcodes, as employees do not have to learn complicated inventory systems or pricing procedures. The scanners themselves can be hand-held, wireless, and even installed as a solid fixture in a self-service or manned checkout. The versatility of the barcode system and the range of components available to each business offer a huge variety of custom applications at relatively low cost. Within the security industry, barcodes can be used to encode information such as passwords for security systems, granting access only to those with the correct barcode. Alternatively, a unique barcode affixed to an individual document or piece of equipment can track its whereabouts within an internal system. Notably, the algorithm for deciphering a barcode can be customised to be unique to a system, allowing an internal encoding system to be put in place that cannot be influenced by an outside body. In particular, the use of barcodes to create tamper-proof ID badges for staff makes the system invaluable to a business. This can be useful in a secure environment such as a bank, hospital or police station as well as in a security business. Moreover, barcodes can provide an inexpensive and reliable solution to a range of business conundrums. Whether a business is large or small, global or local, barcodes can greatly improve the efficiency of operations. Overall, barcodes can significantly reduce overheads, cutting down on time wasted on data entry, speeding up decision making and guaranteeing security within a variety of business environments.